As an owner of a medical practice, you have so many different responsibilities on your plate. You not only need to care for your patients, but you also need to run a successful business. Most individuals in this situation understandably struggle with marketing and growing their practice. Using marketing to grow a medical practice can be difficult—but we have some surefire tips that will help you expand in the way you’ve always wanted to. Appeal to Emotions- When creating a marketing and advertising approach for your medical office—you need to remember what personal healthcare is to people and use a message that appeals to emotions. A compelling message with a clear call-to-action can do wonders. 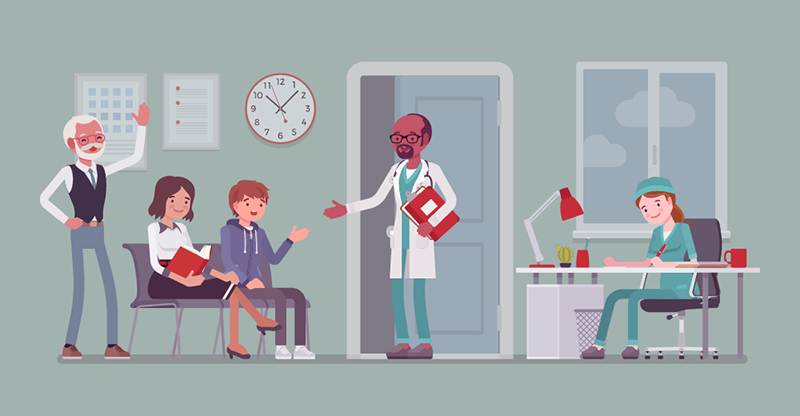 You shouldn’t try to guilt or scare people into coming to your medical office, but you should use emotion to help them better understand your value. For example, a chiropractic office may want to advertise with a story of a man who was no longer able to do his favorite activity, such as golf, due to back pain—until he came to that chiropractic office. Invest in a Program- You don’t need to hire a full-time marketing coordinator in order to launch a successful marketing campaign—there are programs that can help do it for you. This includes programs such as Infusionsoft—which can automate many of your daily responsibilities, send out blast emails and act as a marketing intern so you don’t have to lift a finger. Blog, Blog, Blog- Many times people in the medical field underestimate the impact that a blog can have on their business. Blogs are an important piece of internet content and more importantly, they can help you rank better on search engines. Create blogs based on topics that you know your patients have questions about. This is a great way to reach the type of patients who are in need of your help. Use Social Media to Your Advantage- Recent reports show that 41% of all people would choose a healthcare provider based on their social media reputation. Social media is a popular place for people to find healthcare providers based on reviews, for healthcare providers to reach out and connect to patients and even as a way to help better facilitate referrals. Paid Advertising- One of the biggest challenges that most healthcare offices have when it comes to marketing and advertising is they just don’t have the time to be as active on social media as they want to. This is why pay-per-click (PPC) advertising, a form of Search Engine Marketing is such a great option. Google Adwords and Facebook Local Ads are also a great way to gain better recognition, get more patients and find referrals. The best part is they are relatively inexpensive, and you can create a maximum spending amount that will prevent you from going over budget. If you have any questions about how you can take your medical practice to the next level, then contact the experts here at Life In Motion today—we can help you create a strategy that will expand your practice and help take it to the next level.